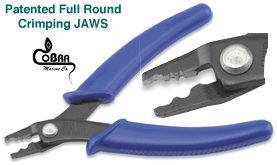 CoBra ProWeld is the professionals choice for making quick repair to all soft plastics, Including Lures, Baits, Plus cutting and sealing Fly, Braided and Monofiliament cords and line. 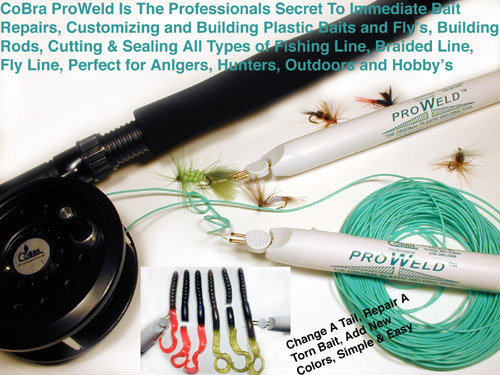 Proweld is the secret to customizing and building your own plastic baits and flys to meet the color conditions before or during your fishing trips. Add Colors - Change Colors- Extend Bodies - Add Claws, Tails and more. 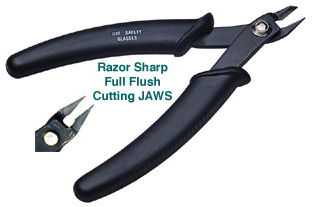 Utilizing a high intensity welding head, powered by a single or double (AA) batteries it will provide years of service. 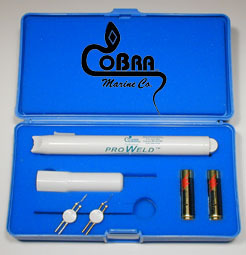 Availble in #272 ProWeld Double Battery Welder, #274 ProWeld Pro Kit with Double Battery Welder Deluxe Foam Line Kit Box Two Extra Welding Tips, also available Replacement Welding Tips #110 - Angled 45 Degree Welding Head, #121 - Straight Hi-Intensity Welding Head and #101 Reduced Heat Welding Head. 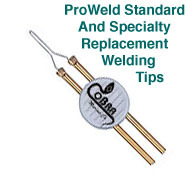 The #272 CoBra ProWeld With Power Tip #121 Produces A Temperature Of 2400 Degrees.